I believe you deserve to be paid for the services or goods you worked so hard to provide. Collecting that money can sometimes be difficult without an attorney involved to show the other side you are serious. 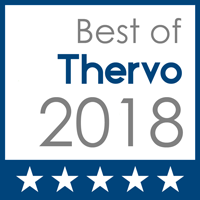 I have experience collecting from consumers as well as commercial entities, all while adhering to the Fair Debt Collection Practices Act, local and state rules. I provide excellent service and work hard to negotiate terms before filing costly court complaints, though at times getting the court involved is unavoidable. I continue to negotiate, however, before a trial to save you litigation fees and costs. Spending all the money you are owed does not do you any good, so it is my priority to get you as much as possible while spending little. My rates are competitive in order to maximize your return. Request a consultation and I'd be happy to explain the process to you. I can even come to your business, so you can get back to your busy day quickly. A 2.95% fee will be applied to all credit card transactions and a 1.95% fee will be applied to all debit card transactions. 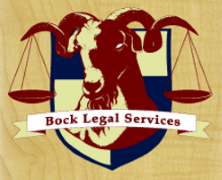 The materials and information on this web site are made available by Bock Legal Services, LLC for informational purposes only and should not be considered legal advice. The transmission and receipt of information on the web site do not form or constitute an attorney-client relationship. Persons receiving the information on this web site should not act upon the information provided without seeking professional legal counsel. Please do not send any confidential information to us until such time as an attorney-client relationship has been established. 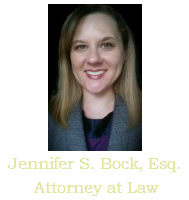 If the information in this website links to outside websites, Bock Legal Services, LLC does not incorporate any materials appearing in such linked sites by reference, and the firm does not necessarily sponsor, endorse or otherwise approve of such linked materials.